Happy new year! Have you made any resolutions yet? I’ve set my three writer’s resolutions. But before I get onto that, let’s check out how I went with 2013’s writing resolutions. 2013 Resolutions: How did I go? I’m not going to read anything I’m not loving. Okay, I give myself points for thinking about this a lot. Alas, I did read quite a few things that I didn’t absolutely love. This is still a work in progress for me. I’m going to put my writing first. I think I did a pretty good job at this. It didn’t work every day but on the whole I set boundaries and was pretty strong about keeping them. Well done me! I’m going to decorate my writing room. Sigh. We moved house in September so (a) I didn’t see any point in putting lots of effort into my last writing room, and (b) I’ve been so flat out since we moved that not a lot of prettying has gone into my new room. I’m calling this a ‘let’s try again’ for 2014. So, okay, not perfect, but not too bad. Now, to 2014. Stay calm, and have a cup of tea. I’m a bit of a Nervous Nelly at the best of times, but with my first book coming out in April, there’s a lot going on to push my buttons. 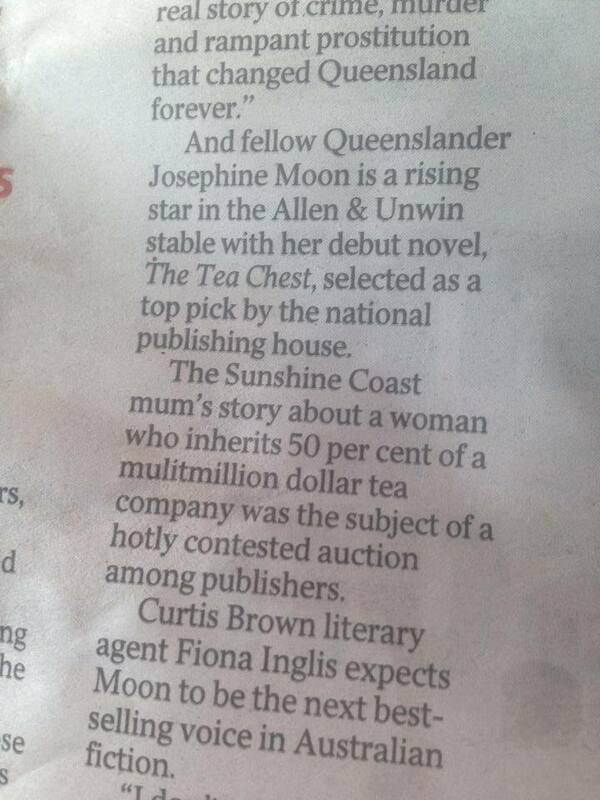 Last weekend, The Courier-Mail published a very lovely article, ‘Pick of Books with Success Written All Over Them’, about upcoming books and included little-old-me in their picks for 2014. Whoa, Nelly! Some people would get a lot of confidence from an article like that. Me? I think, Holy Cats, What if I Fail?!?!? So, that brings me back to the staying calm and drinking tea–breathe, Joey, breathe. I need to remember that it’s not just me out there. I have an exceptional, proven publishing team behind me that have made countless good choices in their careers so I need to trust, trust, trust. Turn guilt to gratitude. Like most mums out there, I want to believe that I can do it all. Of course, I can’t. I need to ask for help and be grateful when it arrives. When the nanny turns up to look after Flynn for four hours so I can do some work, I’m going to practise being excited about that and not guilty. When the invoice comes to pay that nanny, I’m going to practise feeling blessed, not guilty. And when the cleaner turns up to organise the house back to a level of workable sanity, I’m going to practise feeling thankful that I get to prioritise quality time with my toddler rather than the vacuuming. Protect the creative process. There’s a lot of advice out there to tell aspiring writers to treat your job like any other day job. And there’s something to be said for that. Hours at the keyboard count. It is the only way a book will be written. But, at the same time, writing isn’t a normal job. And as Julia Cameron constantly tells us, we need to stock the well before we can take from it to create something new. I am a workhorse. I am built to work. What I find hard to do is play. But it is only by playing that I can stock the well in order to produce fresh, inspiring content. I might be naturally a Clydesdale in nature, but I need to let my unicorn out to play much more than I do if I want to find the magical moments. The sludge has hit the fan. My brain is liquid tar. The reasons are pretty simple: a bubbalicious who doesn’t yet sleep through the night, the fourth day in a row of extreme heat in south-east Queensland (hence less sleep), storms that send one of our dogs into frantic drooling terrified mess (hence even less sleep), and that general worn out feeling you get at this time of year anyway as the life pace cracks its relentless whip to muster you towards Christmas day. But I do like to try to do something towards my writing each day, even if it’s very small. How do you keep going when the sludge hits? Here’s my Top 12 activities to do when the sludge hits and no amount of coffee, fresh air, face slapping or hot-coal-walking will move it. Read. 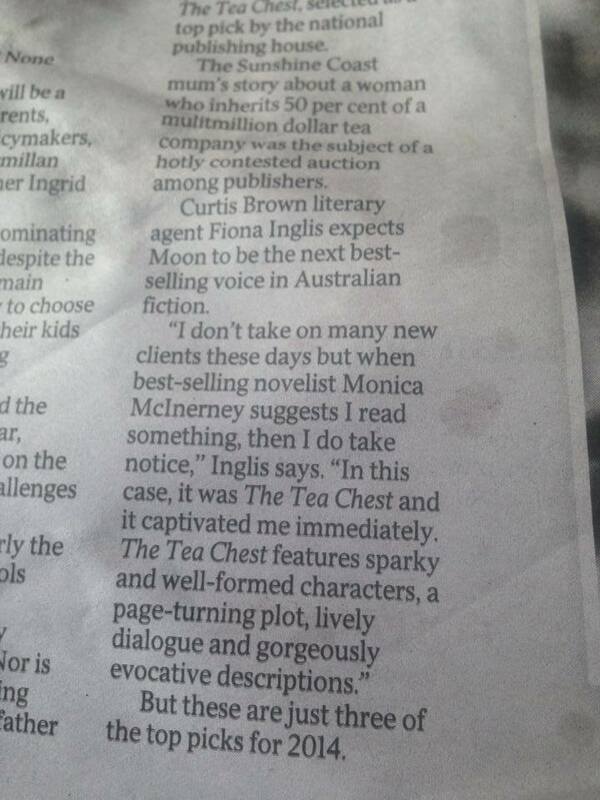 Our job as writers is first and foremost to read. No reading is ever a waste of time. It is valuable. It is research. It is educational. It’s relaxing. And it’s fun! Read, read, read. Watch DVDs. Seriously. Similar to reading (though obviously not as good), television and movies (when carefully chosen) can be a rich source of compost for the fertility challenged mind. This is a particularly great option if you’re researching another time period or another city or country. YouTube is also a fantastic source of research and often even better because it’s raw, without the gloss and professional spin. Pull out those literary magazines and association newsletters you’ve got stashed under the fruit bowl or nappy bag and catch up on snippets of tips, info and trends in the writing and publishing world. Fossick in magazines. Look for pictures of houses, people, products or anything that might be useful as inspiration for your book, grab some scissors and glue and act like a six-year-old and cut them out and paste them onto a vision board. Writer admin. This can be a trap for procrastination, but it’s still a good alternative to eating a block of chocolate and moaning about how tired you are. (I can speak from experience. The most oft spoken sentence in our house in the past six months is ‘I’m soooo tired!’ Yep. We know. Can’t fix it. But you can try to work around it.) 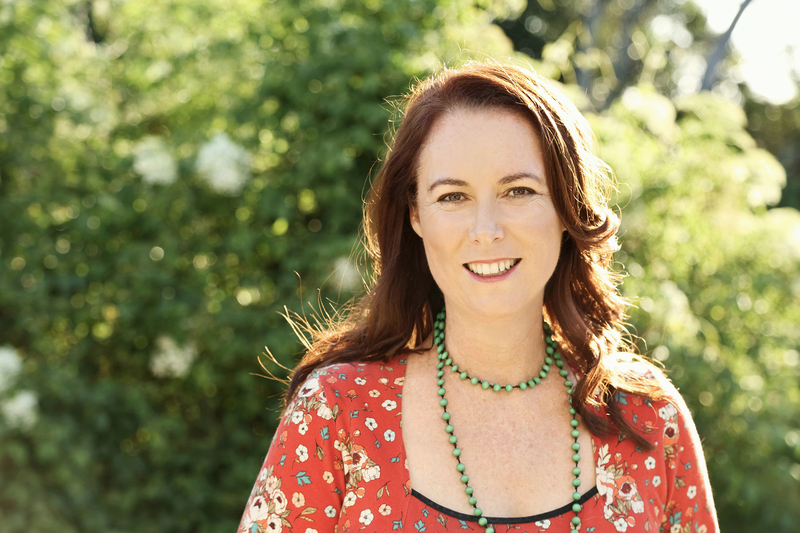 Admin includes activities like buying that domain name; renewing your membership to the Queensland Writers Centre or Romance Writers of Australia; sending emails of enquiry; or even mindlessly entering receipts into your tax bookkeeping system. Now’s a great time of year to buy a year wall calendar and plan out your 2013 writing career. Take in the overview of the whole year. What goals do you have and how you can plan to achieve them? If you plan to participate in NaNoWriMo in November, what else would need to move over to make room for that? When do you plan to have holidays? Are you travelling? 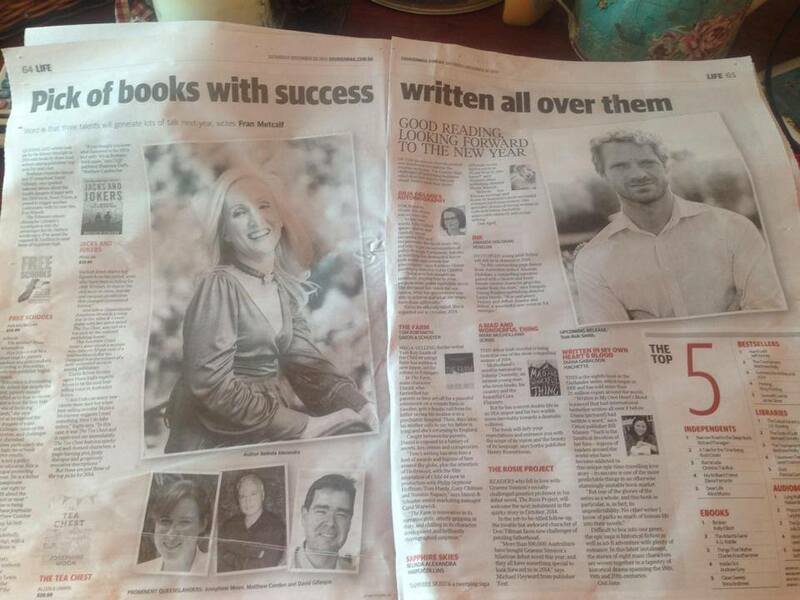 When are the writers festivals? Are there courses of study to do? And, oh yeah, when do you plan to write that 90,000 words?? Internet research and Google map walking. God bless the internet. Seriously. If you’re writing a story set in another city or country, the internet is the most valuable tool you’ve got. I can’t tell you how many hours I’ve spent satellite walking the streets of London. And if you need scientific research, a sludgy brain can often deal with writing down facts and numbers that you can go back to later. Write blog posts, Facebook updates and Twitter tweets and schedule them ahead of time. Okay, so I’m writing this blog post on a sludgy brain day, and it mightn’t be the most witty and entertaining thing I’ve ever written, but for some reason dealing with non-fiction is far easier for my sludgy brain than characters who may or may not want to play the game by the rules I’ve set for them. But social media is an important part of the business of writing and better you get it out the way on a day like today rather than on a day when you’re all fired up to write, write, write. Go for the experiential. If all of the above it too hard, and you think you will vomit if you look at the computer screen, try going for the experiential. 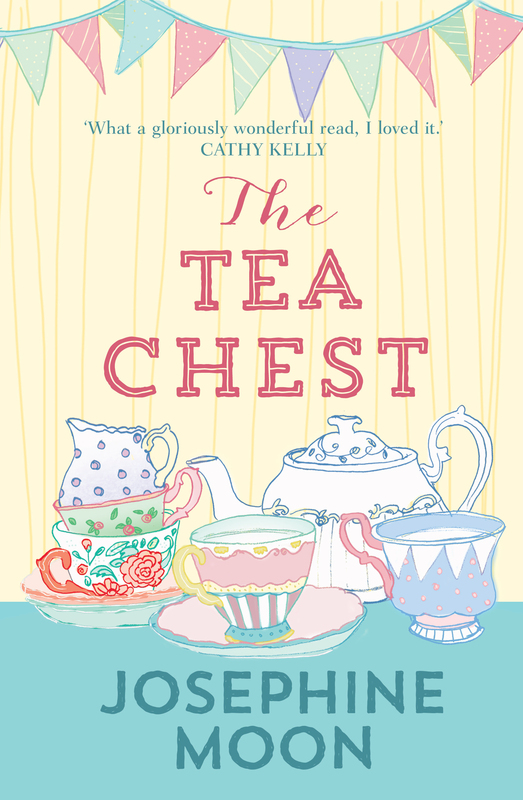 My current book waiting for publication is about tea and the business of designing teas. Many an hour I spent picking random things from my garden and pouring boiling water over them to see what would happen. 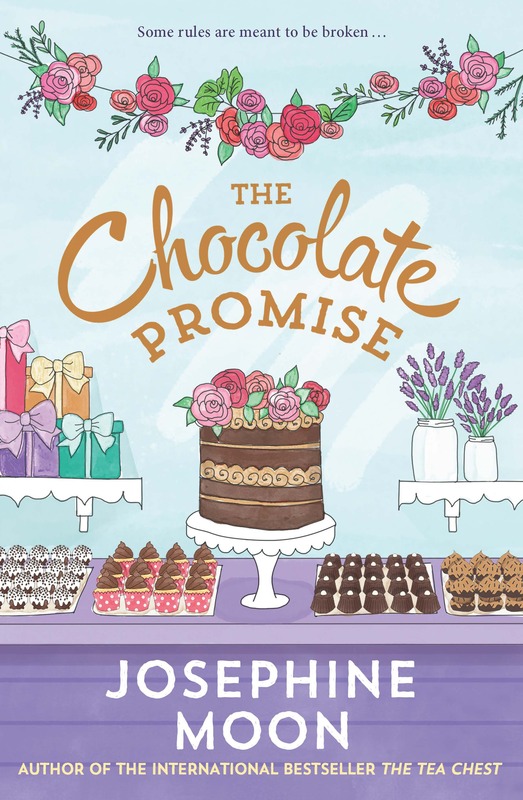 Unfortunately, my current book revolves around chocolate so the experiential… well, let’s just say my waistline isn’t going to benefit the same way my story will. Contact a writing friend. It’s so important to keep a close support network of writerly friends to share the creative journey. No one will understand you like another writer will. Phone or email and make a date in your diary to catch up and talk all things books and adjectival. Buy new stationery. Yes, I’m a nerd. But I don’t find too many things more inspiring and motivating than new stationery! Pens, notebooks, planners, rulers, paper clips… love, love, love. Clean your office or writing space. Can’t see your keyboard for the pile of unpaid bills and unfolded washing sitting on it? No brains needed for this activity. Just some mindless muscle. A brilliant last resort and one that tends to clear the way for a new flurry of activity tomorrow. So, no excuses! Sludge be gone!